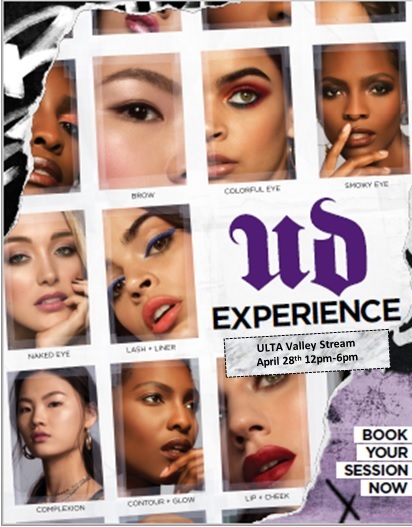 Ulta Beauty in Valley Stream will be hosting anevent on Sunday April 28th from 12pm-6pm with Urban Decay Cosmetics. Meetwith an Urban Decay artist and learn this season's hottest tips andtricks. Gifts will be provided with qualifying purchases.